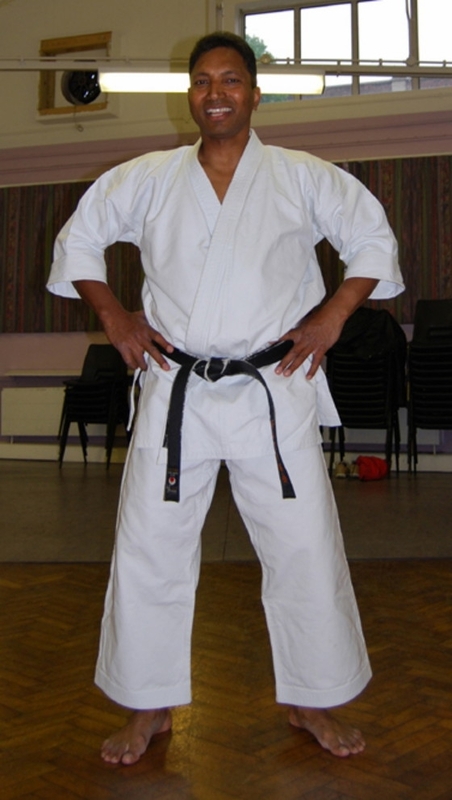 Sensei Morugan Shotokan Karate instructor and former world champion, is our chief instructor. Born in Malaysia, Sensei Morugan is a very senior Karate practitioner with an extensive multidisciplinary Martial Arts background and also happens to be one of the few international world champions to emerge out of Asia holding several titles. While in the UK, Sensei Morugan trained under the formidable Sensei Enoeda (9th dan) at his Marshall Street dojo. 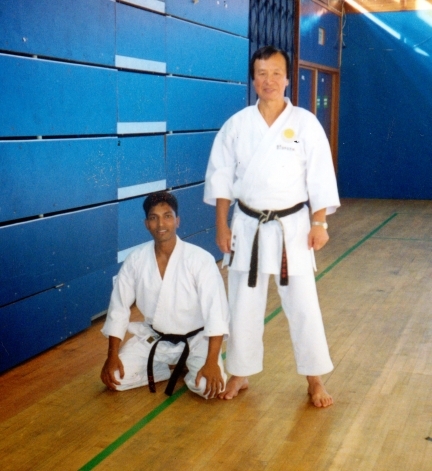 Pictured together above, Sensei Morugan participated with Sensei Enoeda at the Crystal Palace international Karate courses and championships. 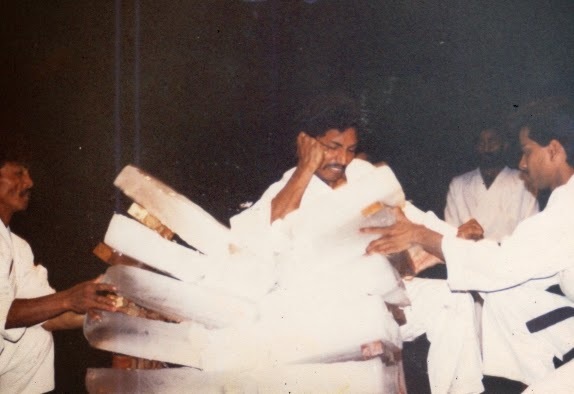 At that time Sensei Morugan held the ranking of 5th dan having been graded in Asia and was one of the youngest among the senior Karate practitioners in Europe. Sensei Enoeda was a student of Sensei Nakayama who himself was a student of Sensei Funakoshi, the founder of Shotokan Karate, and with this our school maintains its direct link to the very founders of traditional Japanese Karate. 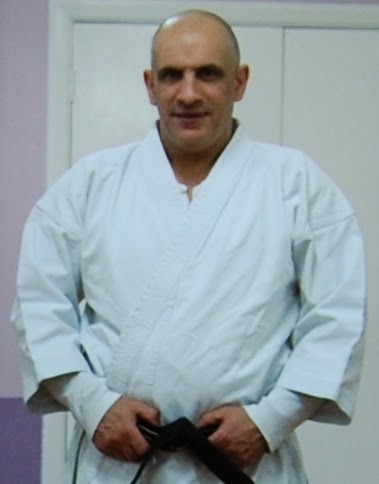 Sensei Louis Loizou is a 2nd degree black belt in Shotokan Karate. He started at our Mushidokai dojo 25 years ago and is Sensei Morugan's most senior student in the UK. To this day he still actively trains and instructs at the club. 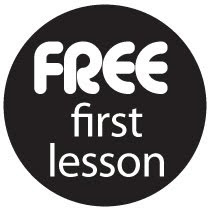 Sensei Louis has also spent many years training in different disciplines including Taekwondo, Tang Soo Do and Japanese Jujitsu. 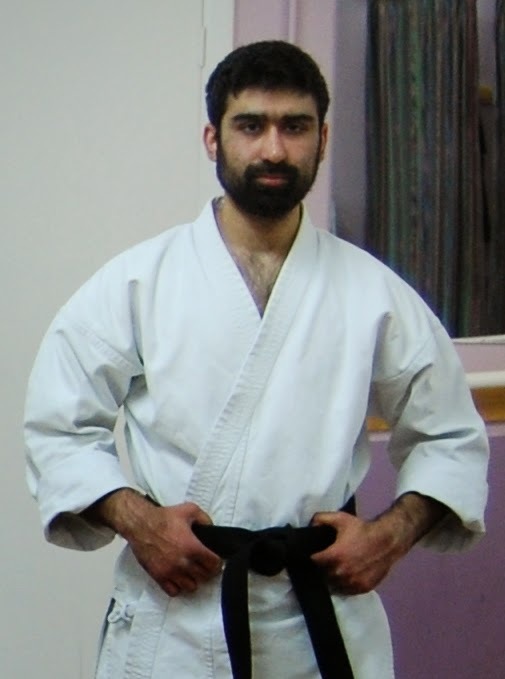 In December 2013 Sensei Imraan Nazir achieved his 1st dan black belt in Karate under Sensei Morugan. He has been training at the Croydon dojo for more than 10 years and often runs the warm-up and assists with teaching at the club. Imraan also has some experience in Brazilian Jujitsu.